EMPLOYERS - Listings are $50 for Members and $100 for Non Members Per position and will be posted for 90 days. Please forward your ad by email, ready to post in a format similar to the current job listings. Jobs will be posted for 90 days and then deleted. Due to space limitations, ads are limited to 2 paragraphs and must be no more then 250 words. Longer ads will be modified by the webmaster if necessary. Coordinate a multidiscipline team and perform layout and detailing on commercial architectural/interior design projects. Keeps the Project Architect and the Project Managers informed of progress on project expectations, deadlines, and deliverables and understands the limits of the decision-making responsibilities of the role. Lead and schedule team internal meetings and participate in reviews with various governing agencies for code compliance. Coordinate workload of team members through multiple phases to complete documents on schedule. Perform QA/QC and technical reviews. Write and edit architectural specifications. Review, process submittals, shop drawings and maintain submittal log. Review and process RFIs and maintain RFI log. Focus on the production of documents and associated detailing with a demonstrated ability to work on multiple projects simultaneously. Thorough understanding of accessibility codes, life-safety codes, building construction systems, means and methods, materials, and industry associated standards. Takes direction well, however, proactively takes appropriate action without requiring continued direction. Ability to engage in creative and critical thought and communicate ideas effectively, verbally, and in written form. Bachelor's degree in Architecture or closely related field. License is not necessary. Preferred minimum of 5 years of production experience, minimum of 1-2 years leading and coordinating a multidiscipline team. Must demonstrate proficiency in AutoCAD, Photoshop, and MS Office. Revit and Sketch-Up is not a requirement, but a bonus. Ability to work effectively and professionally with other team members. and accept direction to reach common goals for successful outcomes. Act in a manner of integrity that shows support for the company, its values, and the employees, while maintaining constant focus on meeting/exceeding job requirements and expectations. Strong written, oral communication, organizational, problem-solving, and time management skills. Values accuracy and thoroughness in all work with strict and careful attention to detail. Self-starter who takes ownership of tasks and projects. BDG Architects offers a comprehensive benefits package with options for health insurance, dental insurance, vision insurance, life insurance, short and long-term disability insurance and the ability to participate in a 401K program. We also offer paid holidays and paid personal time off.­ Located in the heart of Downtown Tampa, our office is walkable to museums, Curtis Hixon Park, the Riverwalk, Straz Performing Arts Center and many unique restaurants.­ Access to 24/7 Downtown parking (paid by BDG), car detailing, dry cleaning, and complimentary fitness center are among the amenities available to employees.­ If you are interested in being a part of this dynamic growing firm submit your letter of interest, resume and work samples in pdf format via email through our website. Please, no phone calls. BDG Architects is a full-service architecture and design firm with its Headquarters in Tampa, Florida with Southeast Regional Offices in Birmingham, Alabama, and Charlotte, North Carolina with over 20 years of experience throughout the United States. We have built our reputation as being on the leading edge of our industry through design excellence, building lasting relationships, and delivering high value to our clients. BDG understands that each client has a unique set of business strategies, which we focus our services to support, creating a true partnership. Our projects are extremely diverse in terms of project type, design styles, practice areas and scale. Additional information about the firm can be found at www.BDGLLP.com. Required Qualifications: The position requires at least: (1) a Master’s degree in Architecture or (2) a Master’s degree with at least 18 graduate semester hours in Architecture, Building Construction. Job Description: This is a tenured-track faculty position. Desire candidates with on-going professional development interests, love of teaching, and enthusiasm for campus and college committees and activities. Preferred Qualifications: Prefer candidates with: (1) Florida registered architect or contractor license; (2) prior teaching experience at the College level or within the industry; (3) drafting and graphics software knowledge in AutoCAD, Revit, Photoshop, SketchUp, Illustrator, and InDesign; and (4) industry experience. Additional Documents Required: The position requires at least (1) a Master’s degree in Architecture or (2) a Master’s degree with at least 18 graduate semester hours in Architecture, Building Construction. Applicants must attach a copy of their graduate transcript, showing at least the minimum qualifications, at the time of application. In addition, applicants must attach a cover letter, resume and listing of at least three professional references at the time of application. If selected for an interview, applicants must bring an original transcript to the interview showing the awarding of the required degree and required graduate semester hours. If the transcript has not been updated to show the awarding of the required degree, applicants must bring written documentation from the educational institution showing when the degree was awarded. WHY?­Everything we do, we believe in helping others celebrate life. dsa is a full service Architectural and Interior Design Firm specializing in Residential, Commercial and Educational projects. Our projects are extremely diverse in terms of project type and scale. We embrace this diversity as one of our core strengths and have organized our firm around project-specific teams assembled to address the specific needs of each client. dsa supports an open collaborative work environment with flexible schedules, competitive benefits package, generous PTO, potential annual bonus, Friday happy hours, quarterly playdates, consistent lunch and learns and an all-around positive work environment where our culture is our priority! Project Managers serve as the primary client liaison to bring the schedule, budgets, and scope of work to completion and to the client’s satisfaction.­They visit construction sites and interact with engineers, contractors and construction personnel. Project Managers must be able to balance technical skills and creative aptitude in a fast-paced environment. They must be familiar with architectural standards, engineering practices, building ordinances and blueprints in order to communicate effectively with clients and co-workers. The Architectural Project Manager works in partnership with the Engineer and Designer and is responsible for project financial performance and team communication. The architectural project manager handles multiple projects through all project phases until completion. The architectural project manager directs employees and consultants to ensure that proper steps and procedures are taken and that work is completed as planned, budgeted, scheduled and in keeping with the design intent. They are responsible for the issuance and content of deliverables, technical content of FAE documents and coordination of disciplines.­­The architectural project manager is ultimately responsible for the supervision of all staff producing document. Responsible for managing project using Deltek Vision; complete work plans; including identification of project team members, budget, consultants, schedule for completion, fees and labor costs as well as project change notices or other actions taking place on the assigned project.­­Responsible for financial outcome of projects. Ensures that the overall design intent of the project is incorporated into the project’s detailed documentation. Monitors the design process from the conceptual phase through construction administration, ensuring that the design idea is consistently and properly executed. Takes responsibility for technical resolution and coordination for a defined portion of a project. Ensures that all elements of the project are in compliance with all applicable codes. Ensures that construction detail documentation conforms to established quality assurance and quality control policies. Fosters and maintains a collaborative professional working relationship with the project team. Participates in, and/or leads multiple project teams. Assists senior management in developing and validating project scope and fee, budget and scope of services during the marketing and contract development process. ­Assists in preparing project presentations. May participate and/or lead client presentations. Consistently provides complete and timely communication of project information to and from clients and project team. Monitors the design process from conceptual phase through construction administration, ensuring that the design idea is consistent and properly executed. Checks completed reports, plans, estimates, and calculations for accuracy. Sets the overall strategy for producing the documents and identifies the sheets planned for each stage of the work. Responsible for communication with other disciplines, vendors, and contractors to ensure incorporation of all information into the project and provides support as necessary. Mentors and directs the work of less-experienced staff, and may participate in professional development reviews. Works on developing a positive relationship of communication and trust with Clients and Clients’ employees. Regularly communicates with client representative to verify design requirements and specifications, progress reviews, and delivery of final presentation. Consults with client to determine function and spatial requirements and prepares information regarding details, materials, colors, equipment, hardware, estimated costs, and construction time-frame. Secures client approval of the unified design and construction document package. Directs project with Architect and Senior Designer team. Shares, tracks, and coordinates electronic documentation and files with the project team, clients and consultants. Assists in planning and conducting work making minor adaptations and modifications to complete construction document drawing sets. Participates in occasional team meetings to help resolve project issues such as coordination, scheduling, and technical concerns. Advanced design, visual, and graphic presentation skills. Advanced hand and CAD drafting skills. Proficiency in Revit required. Participates in business development meetings with team leaders to target specified project, client, or market opportunities. Identifies new business opportunities within the context of current client relationships. Assists in development of fee proposals. May participate in selected marketing and business development opportunities. Strong knowledge of design, design trends, construction methodology, material applications, and manufacturer-supplier appropriateness. Advanced knowledge of quality assurance and quality control policies and process. Proficiency in 3D modeling software, such as 3D Studio Max, SketchUp, and Viz 2006. Proficiency in graphic design software such as Photoshop, Illustrator, and InDesign. Ability to lead teams and work effectively with other project leaders. Ability to communicate effectively in writing and verbally, including public speaking. Education: Bachelor’s degree in architecture, interior design, or engineering required. Master’s degree preferred. Multi-family, mixed-use, hotel experience preferred. Registered Architect with current license in good standing preferred. 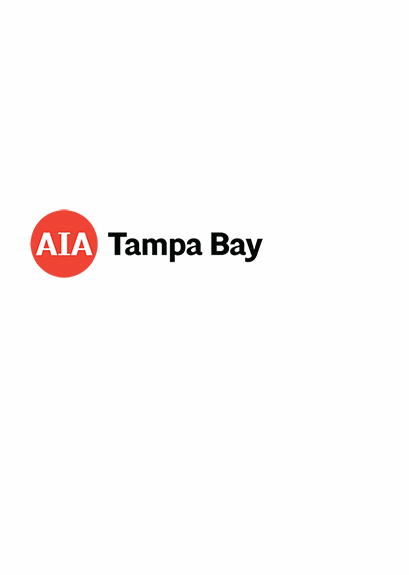 api(+)­is seeking architectural professionals with a passion for design and architecture to join our Tampa, Florida office. Commercial experience is required, and retail experience is preferred. Project Architect and Marketing Associate | BFrank Studio, LLC. Marketing Associate: ­Graphic Design and Marketing professional with related Bachelor’s degree who have the minimum requisite experience may forward their resume and portfolio/work sample(s) to Beverly Frank, beverly@bfrankstudio.com; and, Steve Carpenter, steve@bfrankstudio.com. You will have full responsibility for managing all aspects of multiple small to mid-sized projects and preparing strategic plans for project success. Tasks will include the coordination of all project efforts, administrative and technical, to assure the most efficient and cost-effective execution of assigned projects. You may serve as the primary client liaison to bring the schedule, budget and scope to completion and to the client's satisfaction. You will actively manage client budgets, schedules and programs; project communications and documentation; office administrative tasks; and project team assignments. You will estimate fees, determine projects' scope of work, prepare proposals and assist with contract preparation. Small, boutique design firm in South Tampa specializing in office, industrial, hospitality, retail, and mixed-use projects seeking a design professional to assist in project development and production. The ideal candidate would possess a well-rounded skill set in architecture and interior design as well as some experience working in a team environment. · Hand drawing and physical model building skills. · Proficiency in Design, Problem Solving, Sustainable Design and emerging computer technologies. · Advanced level of proficiency in Revit/ArchiCAD and AutoCAD. · Proficiency in MS Office, including Word, Excel and Outlook. · Experience with Photoshop, Illustrator, InDesign and Sketch Up graphic software preferred. · Advanced knowledge of architectural building systems. · Ability to effectively meet deadlines. Clifford M. Scholz Architects is a progressive leader in the architecture industry and nationally recognized for award winning designs. The Florida design team located in Sarasota is seeking a highly qualified and enthusiastic Project Manager to work collaboratively in a mid-size team environment.­ As a Project Manager you, in partnership with the Project Architect are responsible for project production, financial performance, and team communication.­ In this role the successful candidate may manage one or more projects during all phases of a project until completion and direct employees and consultants at all levels to ensure that proper steps and procedures are followed and that the work is completed as planned, budgeted, scheduled and in conformance with the design intent. · Hand drawing and sketching skills. Clifford M. Scholz Architects is a progressive leader in the architecture industry and nationally recognized for award winning designs.­ The Florida design team located in Sarasota is seeking a motivated and enthusiastic Architectural Intern to work collaboratively in a mid-size team environment, performing design and technical production of documents in AutoCad and BIM through all phases of architecture. This role includes coordinating with the project team, clients, and regulatory agencies. · Basic hand drawing and physical model building skills. · Proficiency in Revit/Archicad and AutoCAD. · Basic knowledge of architectural building systems. Clifford M. Scholz Architects is looking for an Administrative Assistant to manage our front desk on a daily basis and to perform a variety of administrative and clerical tasks. As the Administrative Assistant, you will be the first point of contact for our company. In addition to personally assisting senior management, duties include offering administrative support across the organization. As an Administrative Assistant, you should have a pleasant personality, as this is also a customer service role. Multitasking skills are essential for this position. Holding a current real estate license and/or experience with and access to the MLS is a plus.­ Experience working in an architectural office or an interest in architecture is a plus. Familiarity or experience with zoning and building codes or the Municode system is also beneficial.­ Experience with social media as well as marketing assistance will also prove beneficial. Ultimately, the Administrative Assistant duties and responsibilities are to ensure the front desk welcomes guests positively and executes all administrative tasks to the highest quality standards. Honed technical skills are a must. Traction Architecture is a small award-winning architecture firm specializing in detailed, design-driven projects. We have a collaborative and hands-on studio environment with projects ranging from custom homes to public art. Our practice emphasizes the process of making architecture. We build physical models, explore modes of drawing and representation, and conduct multi-faceted studies of our project sites. We have recently expanded our practice to include design/build projects, allowing us a deeper engagement with the construction and physical details of the work. We are looking for talented graduate students and recent Master of Architecture graduates for both full-time and part-time positions. Project Manager | Jerel McCants Architecture, Inc.
We are looking for a self-directed, motivated person that will align with our core values of integrity, innovation, and insight to add to our growing firm. We are a boutique Architectural firm located in Tampa's historic Ybor City that is seeking an experienced project manager for commercial, residential, religious and educational projects. This position is part-time with the potential to become full-time once we have located the right professional to handle multiple projects and direct a small staff of 2 - 3 technical employees. The ideal candidate will have an interest in professional growth within an innovative, studio workplace that offers a relaxed environment. Also, this person should be able to complete tasks with minimal supervision within an open and flexible work schedule. We are willing to employ on a contract basis or employee with benefits package and flex schedule. Talent over experience will be strongly considered. obtain certification as a state of Florida Building Code Inspector, in accordance with Florida Statutes. Possession of a valid state of Florida Class E noncommercial driver's license. considerable independent judgment in handling most assigned responsibilities. work year and hours of employment shall be established by the District. all responsibilities and duties required of those in this classification. You must apply through the Pinellas County School Board's website, which is www.pcsb.org.­ If you have any questions on the application process, please email Briana Daugherty at daughertyb@pcsb.org. FGA is currently seeking an exceptional Architect/Project Manager. The Architect/Project Manager will manage, organize and coordinate project teams and team assignments, be responsible for ensuring that production of construction documents is consistent with design intent, and be responsible for project schedules and budgets. Required skills include: Possess strong CAD drafting skills, Proficiency in Revit Architecture; Knowledge of building codes and standards. Required experience includes: At least 10 years’ professional experience; Licensed Architect registered in Florida is preferred or equivalent time practicing architecture with a high level of experience.